Jose Vega immigrated from El Salvador to San Francisco in the mid-70s, leaving behind his country and culture. 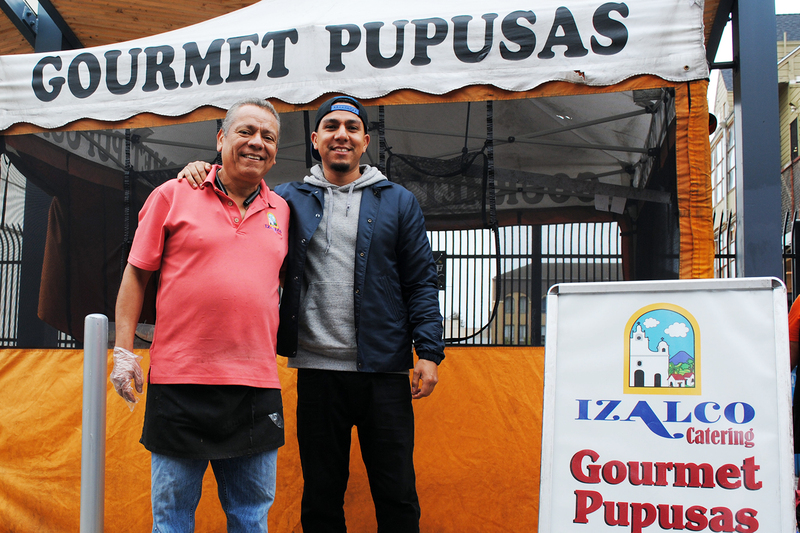 The Mission district felt closest to the home he grew up in and now with his Salvadoran food business, Izalco Catering, he brings his culture to others at the Mission Community Market in the form of a pupusa. Jose Vega was born in El Salvador and was sent to live with his relatives in San Francisco to attend school. After graduating in 1981, he and his family decided to stay in San Francisco due to the full-fledged civil war that had erupted in El Salvador. The Salvadoran Civil War lasted for 12 years with the United Nations reporting more than 75,000 people killed during the conflict and an unknown number disappeared. During this time, a wave of Salvadorans relocated to new cities in the United States, including San Francisco. For years Jose thrived as a realtor in the Bay Area, but that came to a stop when the market collapsed with the Great Recession of 2008. Out of desperation, he and his wife at the time decided to try to capitalize on a traditional Salvadoran recipe: pupusas. Upon embarking in this new business, Jose knew that Izalco Catering needed to be different to be able to compete against the countless pupuserias in the area. Jose focused then on not only making quality-ingredient pupusas, but also unique pupusas. A pupusa is a traditional Salvadoran dish of a thick masa tortilla stuffed with a savory filling such as bean and cheese or a pork mix. Pupusas are typically accompanied by a lightly fermented cabbage relish called curtido, and tomato salsa. 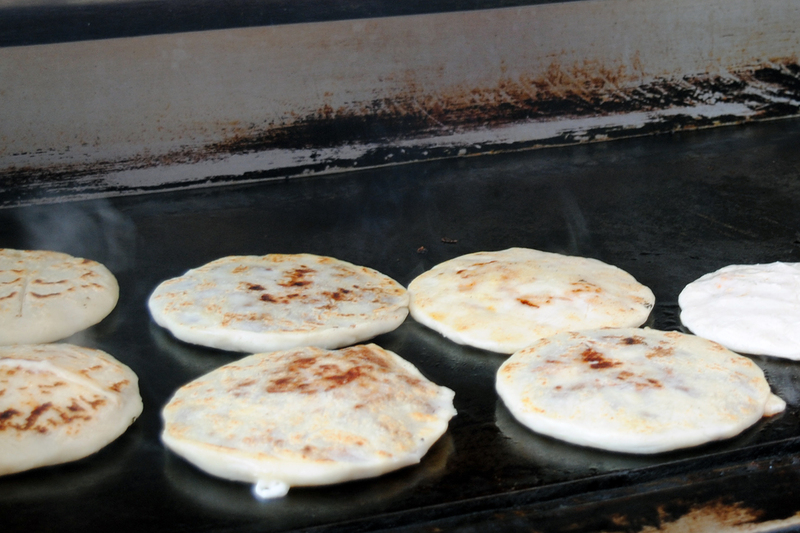 The original recipe for Izalco Catering’s pupusas comes from Jose’s grandmother, who owned a pupuseria in El Salvador. Contrary to popular belief, pupusas are not a homemade meal, even in El Salvador, the reason being that they are time-consuming to make. Izalco Catering specializes in traditional pupusas but also offers different options for the eclectic fusion taste of the Bay Area community. Jose also noticed that some of his customer base did not consume pork so he created pupusas with alternative meat choices and even a vegan pupusa. From a vegetarian Italian pupusa to a Southwestern pupusa with chipotle chicken, Izalco caters to the diversity of the Bay Area. The farmers market community has allowed Jose to continue operating with this business philosophy of only using quality ingredients. He believes that market shoppers are willing to pay for quality food and support small businesses. “People that come to farmers markets expect better quality of everything, whether it’s your vegetables, fruits, or the food,” he says. Operating in farmers markets also allowed Jose to build strong connections with his customers and the community. 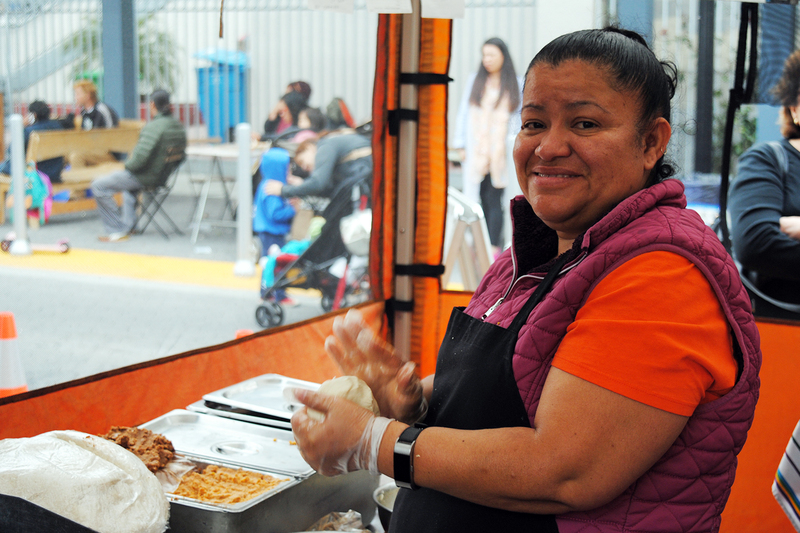 Izalco Catering operates out of several markets throughout the Bay Area, but to Jose the Mission Community Market is symbolic in several ways. As an immigrant, the Mission was his first home away from home. With the Mission neighborhood rapidly changing physically and demographically, Jose has seen several pupuserias go out of business and others still surviving. In a time where anti-immigrant sentiment is on the rise, Jose continues to keep his Salvadoran roots alive in his family and his business. Even the word “Izalco” in Izalco Catering came from the name of a town in El Salvador, where Jose’s last name originated from. With the demand of operating in several busy markets around the Bay Area, Jose has entrusted his oldest son, Marcelo, with helping run the family business. Jose has seen people of all different races and nationalities enjoy his pupusas. Inadvertently, Izalco Catering created a space where Jose can connect with people of other cultures and they can share their culture with him. He hopes that even during this time in history, the community will come together for the greater good. Visit Izalco Catering at Mission Community Market on Thursdays from 4 pm - 8 pm.